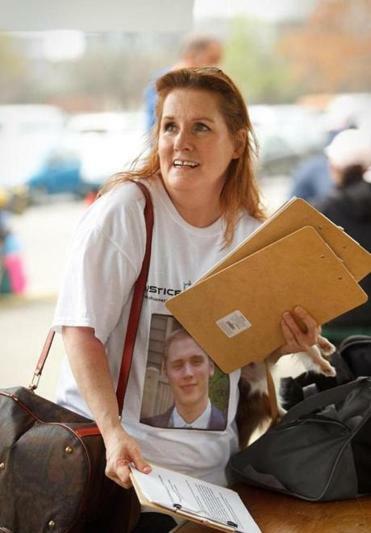 Lisa Brown’s son, Joshua Messier, died at Bridgewater State Hospital, as prison guards had him restrained in May 2009. 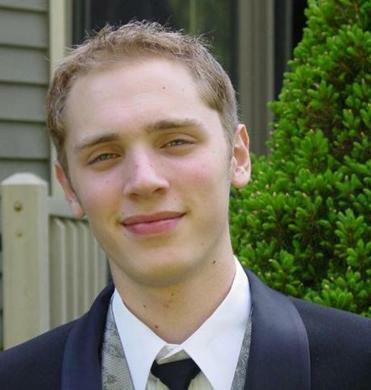 Three correction officers have been fired for the role they played in the death of Joshua K. Messier, a 23-year-old mental health patient who died at Bridgewater State Hospital while a half-dozen prison guards strapped his wrists and ankles to a small bed, state officials said Friday. The Department of Correction said the guards were fired Thursday following an internal investigation into Messier’s 2009 death, the subject of a Globe investigation earlier this year. The firings bring to five the number of correction officials who have lost their jobs after the death of Messier, a onetime student at the University of Massachusetts Dartmouth who was diagnosed with paranoid schizophrenia. Among them was the correction commissioner, who resigned in July. On Friday, the union representing the fired guards said the decision was “politically motivated,” accusing the administration of Governor Deval Patrick of attempting to deflect attention from what the union says are Patrick’s failings in managing the troubled medium-security prison for men afflicted with mental illness. However, Messier’s mother, Lisa Brown, who sued the state over the death of her son, welcomed the decision to fire the three correction officers. “I hope that this overdue decision will be the start of badly needed reforms at Bridgewater State Hospital so no else with loved ones there has to endure this pain,” she said. Messier died on the evening of May 4, 2009 after a half dozen guards manhandled him into four-point restraints, then stood by idly while he died. The incident was captured on Correction Department video. Patrick placed the three correction officers on paid administrative leave six months ago, after the Globe reported that the guards handling Messier had violated more than six state laws, regulations, and hospital policies while attempting to restrain him. 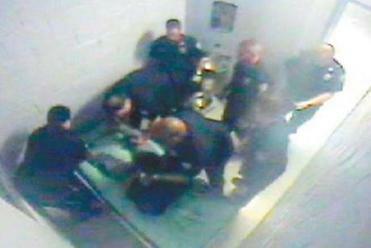 At the time, Patrick said at least two of the guards, Derek Howard and John C. Raposo, should face disciplinary hearings to determine whether they had used excessive force against Messier, who suffered a heart attack after the two correction officers pushed Messier’s chest to his knees while his hands were cuffed behind his back. 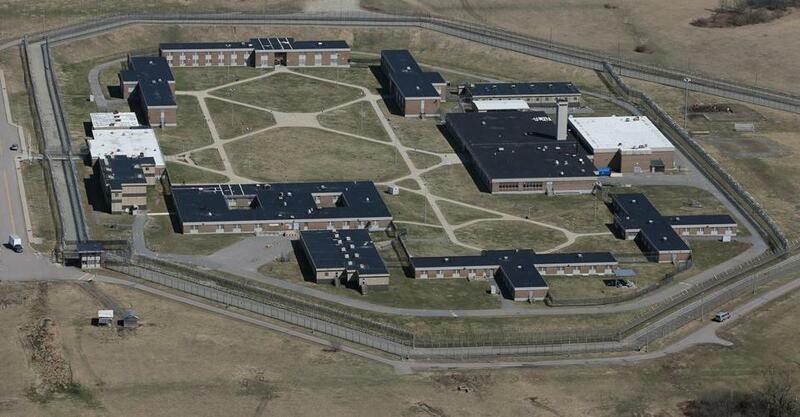 Patrick said the third guard, Sergeant George A. Billadeau, should face disciplinary hearings to determine whether he had failed to properly supervise Howard and Raposo and the other guards in Messier’s cell. Patrick also fired an assistant deputy commissioner for covering up the results of an Internal Affairs Unit investigation that found fault with Howard and Raposo, and issued reprimands to Bridgewater Superintendent Robert F. Murphy and Correction Commissioner Luis S. Spencer. Patrick and Public Safety Secretary Andrea Cabral eventually forced Spencer to resign after finding that he slowed a second internal investigation into a separate incident in which guards are said to have abused a mental health patient. In that case, the patient survived. After Patrick’s action, the state of Massachusetts and MHM Correctional Services, the Virginia-based company that provides medical and mental health care at Bridgewater, agreed to pay $3 million to settle a lawsuit filed by Messier’s family. Last month, Attorney General Martha Coakley named a special prosector, Boston attorney Martin F. Murphy, to conduct a criminal investigation into Messier’s death, which the state medical examiner ruled a homicide in 2010. Previously, Plymouth District Attorney Timothy J. Cruz declined to take any action against the guards, saying there was insufficient evidence that the guards committed a crime. Benjamin R. Novotny, an attorney with the firm of Lubin & Meyer who represented Messier’s family, praised the Correction Department’s decision while looking forward to the special prosecutor’s criminal inquiry. Roderick MacLeish, Jr. an attorney who has represented other Bridgewater State Hospital patients and pressed for the appointment of a special prosecutor, also praised the firings. “If you can’t take measures against prison guards in a case like this, when can you?” he said. Bridgewater, despite its name, is neither licensed nor accredited as a hospital. It is accredited to provide mental health care and houses about 250 mental health patients. Some are dangerous convicted criminals, while others are pretrial detainees charged with minor offenses who are undergoing psychiatric examinations to determine whether they are competent to stand trial. As part of its investigation into the Messier case, the Globe found that Bridgewater guards and clinicians were using four-point restraints and seclusion to control mental health patients at rates far higher than officials at similar facilities in other states. Since then, the department has reduced the use of these measures and pledged to eliminate them, except in emergencies involving extreme violence, as state law requires. “The Department of Correction remains fully committed to improving the delivery of care to patients at Bridgewater State Hospital through revisions to its policies, staff training, increased clinical staff, and strategic collaboration with the Department of Mental Health,” Duarte said.